Should Ethical Eaters Unite Around A Goal To Eat Fewer Animals? 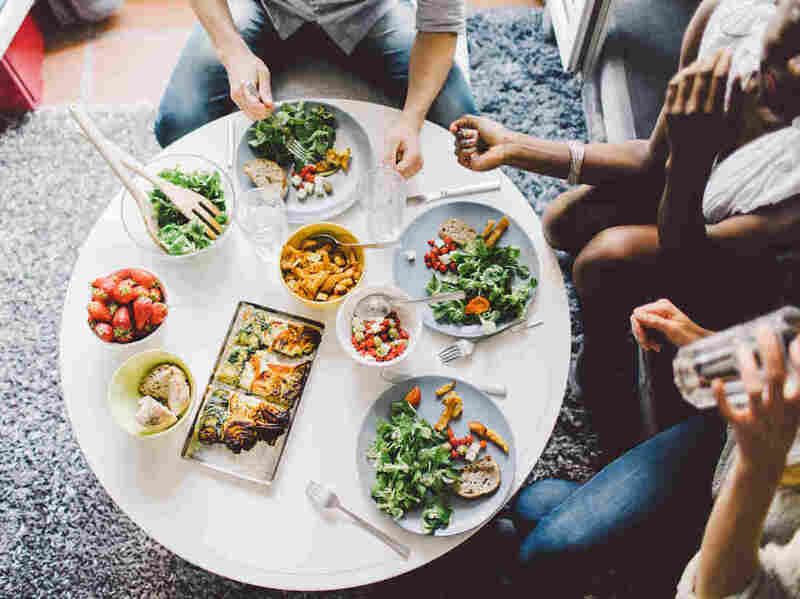 : 13.7: Cosmos And Culture There can be wisdom in uniting around ethical eating, rather than fighting about how many animal products we consume, says anthropologist Barbara J. King. Should Ethical Eaters Unite Around A Goal To Eat Fewer Animals? "Just about everyone who reduces consumption of meat, eggs and dairy for ethical reasons wants to see the end of factory farming. Yet we waste time by focusing on things like virtue points and identity shoring, and disputing each other's visions of the ideal post-factory-farming landscape." As Kateman notes, vegans, vegetarians, and flexitarians are too often at each other's throats about how best to reduce animal suffering — and increase the health of the planet. 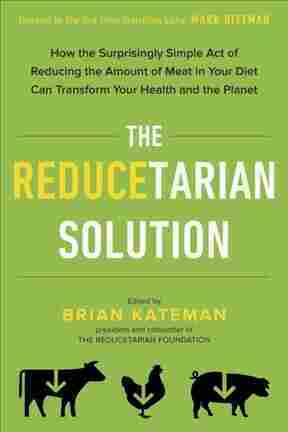 One solution, Kateman writes in the op-ed and in the collection The Reducetarian Solution he edited that's coming out next week, is to adopt a broad identity — "reducetarian" — that unites everyone who is choosing to eat less (or no) meat and fewer (or no) animal products. I'm in the midst of giving public talks in support of my new book Personalities on the Plate, which, as I wrote in Scientific American, lays out evidence for the thinking and feeling capabilities of chickens, pigs, cows, goats, octopus, and fish. Last week, when I traveled to Philadelphia to speak in the Saint Joseph's University Writing Series, several people in the audience told me that they feel more open to new ideas about eating animals when given the tools to think about the issue, rather than being told there's one best way to proceed. "Reducetarianism's message strikes me as far more effective than moralizing....The reducetarian movement meets most people on our planet more or less at their level — they enjoy the taste of meat and yet also worry about their planet's future." -- Graham Hill's chapter: As in most things, we needn't think in binaries, as eating meat or eating no meat. If everyone reduced meat consumption by half, that'd be a huge impact. "Keep your goals realistic, keep moving forward and you will find it just gets easier and easier to eat less meat." — Emma Marris's chapter: Using the same amount of land, we can feed more people with plants than with animals. In the U.S., for instance, 57 percent of crops go to livestock. And consider this powerful statement: "Cutting back on meat can be a powerful way of enacting your own belief that other species share a right to continued existence on Earth." — Bee Wilson's chapter: Let's stop thinking of "meat-free" meals, which define our food by what's absent. "It is not a case of making do with less but of realizing that, actually, everything doesn't taste better with bacon" — and that "there is no deprivation" when cooking with delicious plants. On the other hand, as someone who has made a pretty big commitment to eat no meat, only an occasional fish, and to experiment with vegan milks and cheeses, to me some of the chapters seem weirdly watered down for a promotion of ethical eating. In his essay, Dale Peterson calls himself a vegetarian, though he eats fish. Alexa Clay, in hers, writes joyfully about her family's annual Easter of roasting a lamb on a spit, and says that "meat consumption is part of the way I connect with people" and is "part of a sacred occurrence." At the other end of the spectrum, James McWilliams asks us to probe the legitimacy of eating animals at all. Is it enough to accept slaughter of animals for food if they're "from the right kind of farms"? For McWilliams, the answer is no, because "humane meat" is a myth. "Some of the animals being raised for their flesh may suffer some small percentage less pain and terror and may, in the best of welfarist worlds, even enjoy fleeting moments of joy." But making animals' lives somewhat better isn't remotely the same, Bekoff and Pierce continue on to say, as freeing them from exploitation. The enormous breadth of views gathered in The Reducetarian Solution is clear, even from the few examples I've offered here. Via email, I asked Kateman: Doesn't this broad approach risk alienating everyone — people who really are committed to eating little to no meat, and meat products, for whom the bar will definitely be too low? And people who do eat a lot of meat, who won't take kindly to being told things like there's no such thing as humane meat? "It can be challenging to navigate a morally charged topic like meat consumption. At the same time, all of the contributors [to The Reducetarian Solution] agree in some way that reducing societal consumption of animal products — no matter the degree or motivation — is a step in the right direction. I do want to stress that the tone of the book is intentionally non-threatening and non-judgmental, especially where essays explore some of the outcomes that can result from our personal dietary decisions. I also think it's important that there are many essays that explore why we eat so much meat in the first place and how we can decrease societal consumption of animal products, as this helps readers better understand the complex systems that lie beyond their everyday choices. In other words, this book is really for everyone — from committed vegans to curious omnivores." Here's where I'm at in my thinking: Far better to reach out, to collaborate about ethical eating, than to try and score virtue points at another's expense. I want to be part of that approach. At the same time, I want us — each of us able to make choices about what we eat — to aim as high as we can manage, for the good of our planet and for all the animals on it.